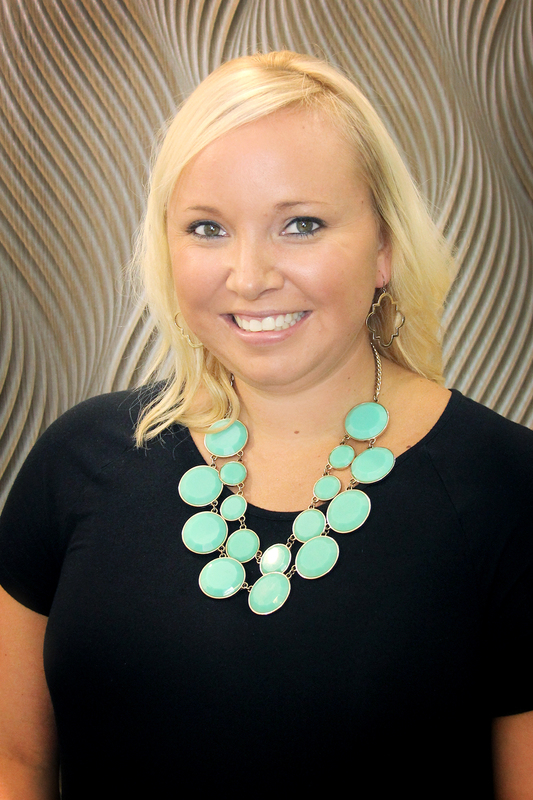 Ms. Crosson is a Certified Surgical Technologist and has been working as a CST since 2008. She was employed at a level one trauma hospital in Augusta, Georgia since graduating from Augusta Technical College. Ms. Crosson sits on the board for the Georgia State Assembly of Surgical Technologist as well as on the State Assembly Leadership Committee for AST. She has also been an adjunct for Augusta Technical College teaching Central Sterile Supply and has almost ten years’ experience as an EMT-I. Brittany Poole graduated from the Surgical Technology program at Southeastern Technical College and has been a Certified Surgical Technologist for since 2012. She worked at Optim Healthcare in Tattnall County, where she specialized in orthopedic and neurological surgery. Along with assisting in surgery, she also was a preceptor for new employees. In her spare time, she enjoys traveling with her husband, Josh. They reside in Toombs County. 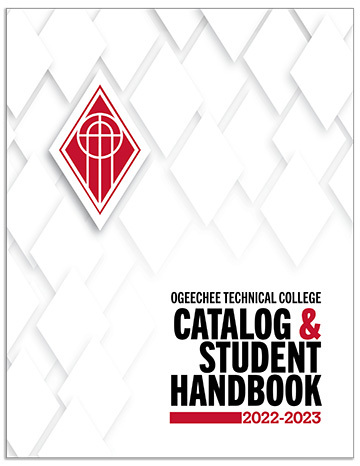 The Surgical Technology program is accredited by the Commission on Accreditation of Allied Health Education Programs (http://www.caahep.org) upon the recommendation of the Accreditation Review Council on Education in Surgical Technology and Surgical Assisting (ARC/STSA). Upon completion of the Surgical Technology Program, students are eligible to sit for the national certification exam under the guidelines established by National Board of Surgical Technology and Surgical Assisting (NBSTSA). Goal 1: To prepare competent entry-level surgical technologists in the cognitive (knowledge), psychomotor (skills), and affective (behavior) learning domains. Goal 2: Provide students with the skills and knowledge needed to provide quality surgical patient care. Goal 3: Produce graduates that meet the requirements and competencies of an entry-level surgical technologist. Goal 4: Students will be employed in the surgical technologist field. Goal 5: Students will successfully pass the national certification exam. 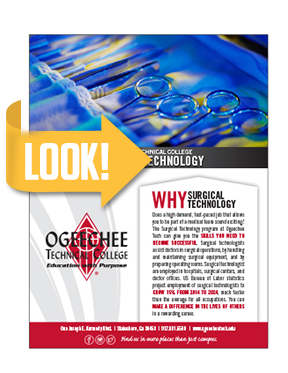 The purpose of the Ogeechee Technical College Surgical Technology program is to provide entry-level technical skills to students desiring to become Certified Surgical Technologists. The program provides classroom, laboratory, and clinical training for students desiring employment as a qualified entry-level practitioner in the field of Surgical Technology and related areas.